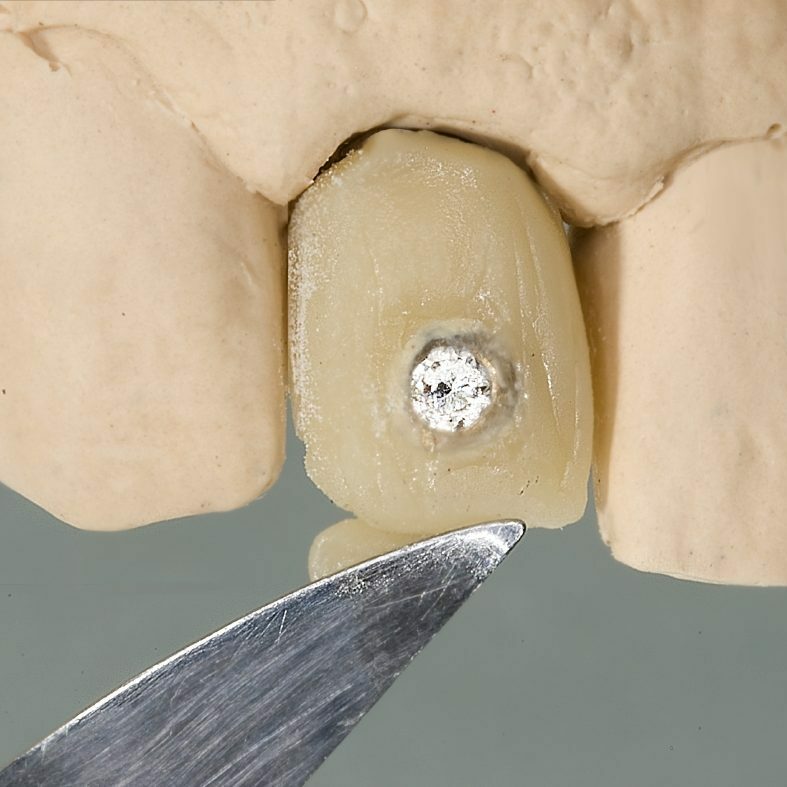 Once the stone had been set, and the diamond crown had found its way back to the laboratory, the final crucial step was to mount it with a suitable composite, in this instance in:joy from Degudent. The framework was conditioned with Espe Rocatec. Great care was taken to ensure that no opaque material covered the outer edge of the gold ring surrounding the stone, as this would have left an unsightly white line on the edge of the setting. After a final finishing polish, the job was done and sent off to the customer. Fig. 12: A happy patient more. FeedbackA few days later I received a call. The result? 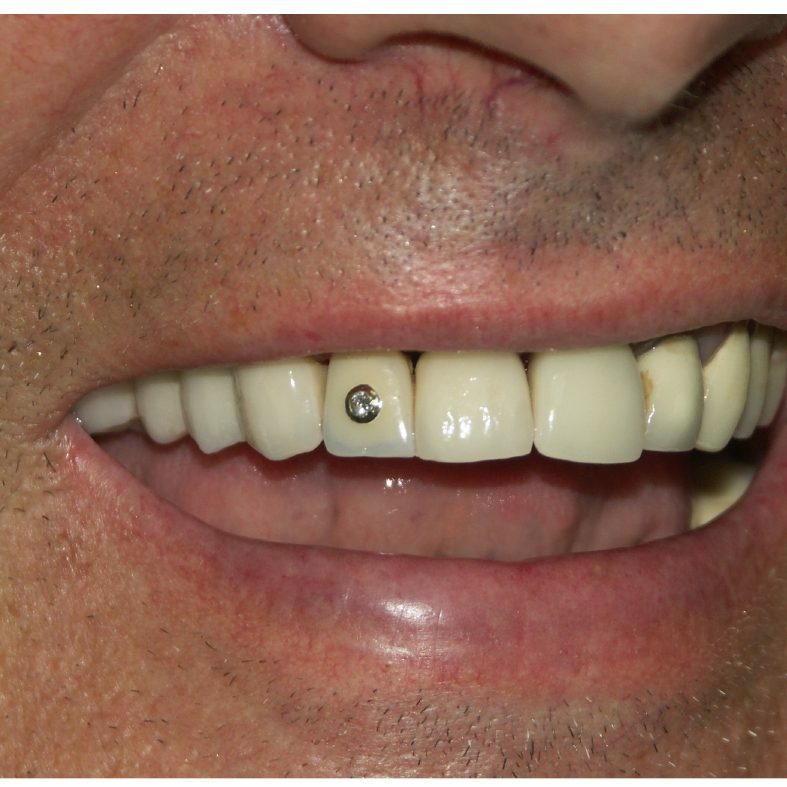 A happy patient, a happy dentist and a happy (and very relieved) dental technician! Even after working in the job for many years, orders like this one continually give us new challenges. One ‘small’ change in the process of producing a simply dazzling crown can, as in this case, lead you to a completely new way of thinking. Who said dental technology was boring! Martin Sulo Martin Sulo is the owner and principal dentist of Botesdale Dental Practice in Suffolk. He qualified in 1998 in the Czech Republic. 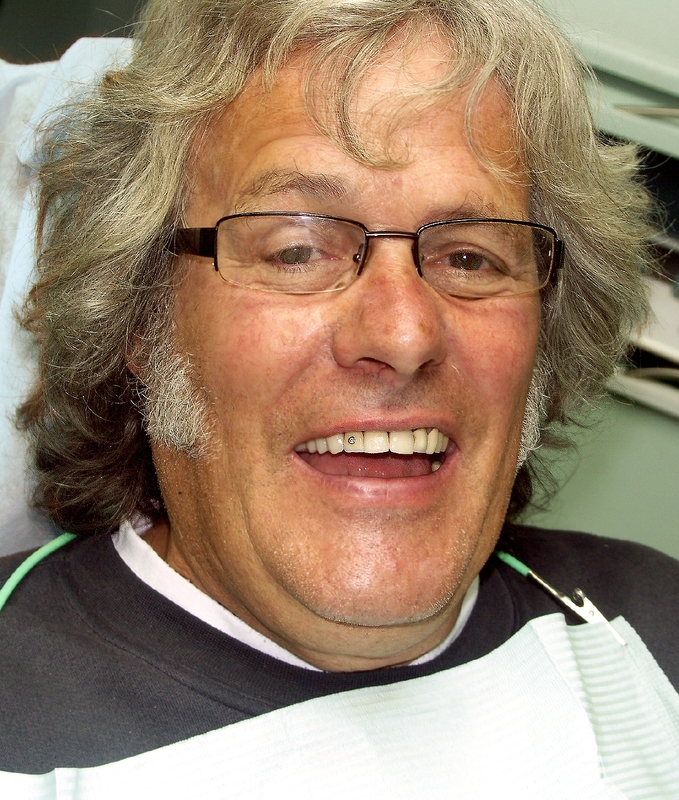 He is interested in all aspects of modern dentistry, especially in fixed prosthodontics. 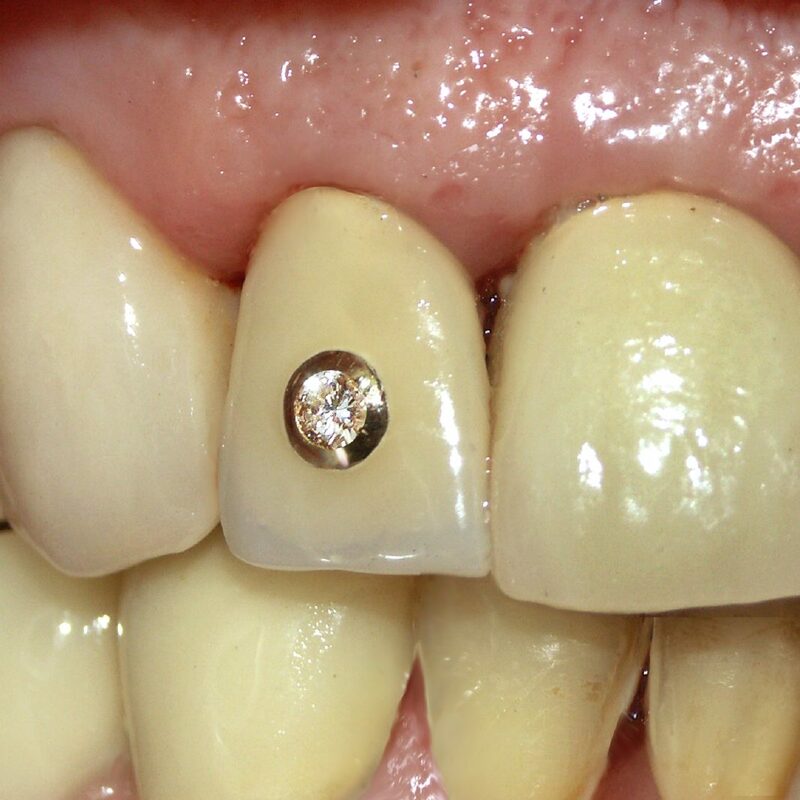 Composite, Dental, dental crown, dental Laboratory Ulrich Heker, dentist, Diamond, German Crown, in:joy, Jeweler, Opaquer, Teeth Are Us, Teethrus, Ulrich Heker. Lesezeichen.